Eaton 1-Phase Encapsulated general-purpose buck-boost transformer is suitable for use with indoor and outdoor applications. It has primary voltage rating of 120 x 240-Volts and secondary voltage rating of 16/32-Volts. This FR58AP frame transformer with frequency rating of 60-Hz, has power rating of 0.75 KVA. It measures 4.99-Inch x 5.99-Inch x 11.68-Inch. 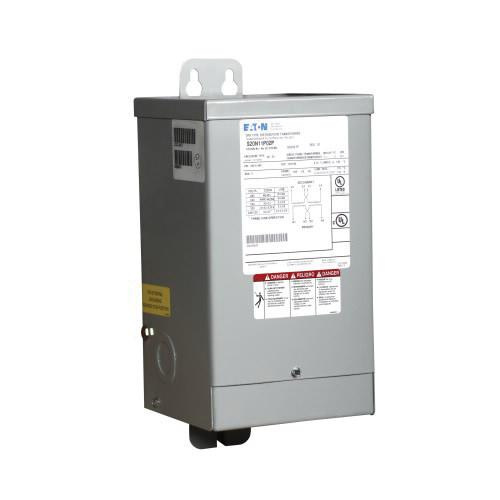 This NEMA 3R rated transformer withstands temperature rating of 115 deg C. Transformer is UL/cUL listed and CSA certified.